This great calming supplement has a money back guarantee and has been created to help induce calmness and tranquility. It combines magnesium from six different sources for a high level of digestibility with calcium carbonate chelate, herbs, B vitamins and other active ingredients to help support the horse and combat excitability. For more information, see here. This easy to feed liquid has been created to help induce calmness and comes with a money back warranty. The liquid uses highly digestible magnesium in addition to B vitamins and amino acids to help calm the horse without making him lethargic. For more information, see here. 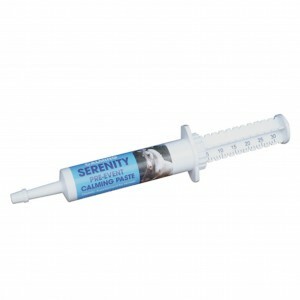 Supplied in an oral syringe, Serenity Calm Down Paste should be dispensed into the mouth two hours before competition, to help combat excitable behaviour. 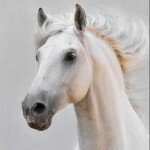 It contains magnesium in addition to herbs and B vitamins, and can be given to a horse receiving Serenity Ultra Calm + if extra calming support is needed. For more information, see here. Created to help counter rider nerves pre event, Serenity Horse & Riders Calming Fluid is a valuable addition to any competition kit. The aromatic fluid can be applied to the hands, wrists, forehead and back of neck before competition, to help relax. 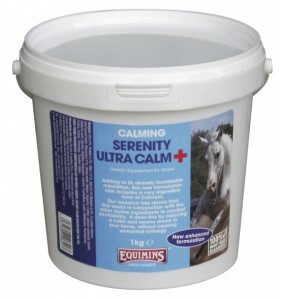 It can be used with Serenity Riders Chill Out Calmer Capsules. For more information, see here. Serenity Riders Chill Out Calmer Capsules are ideal for pre competition nerves as they help to calm without making the rider lethargic. They contain very digestible sources of magnesium along with B vitamins and herbal compounds, and should be taken two hours before riding. To find out more about our calming products, see the website or, if you’d like to discuss your horse with us, please email us or call us.